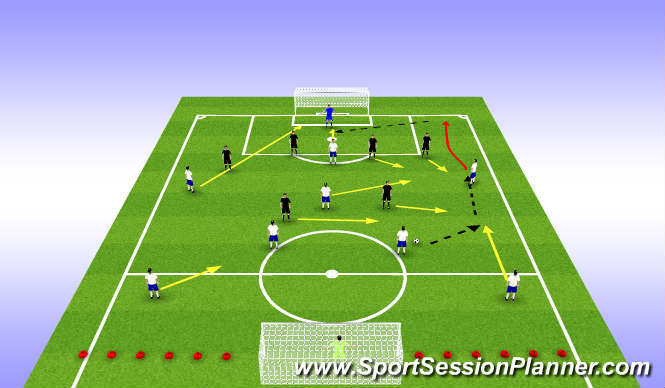 Passing and Shooting Drill; with faking and dribbling movements and 1v1. Both ends start at the same time. Faking and dribbling movements at the gates formed by two cones. don&apos;t run into penalty area too soon. have the right attitude; expect to score. be first to the rebound. task of defenders (without telling attacking team); exert pressure on the flank as quickly as possible. 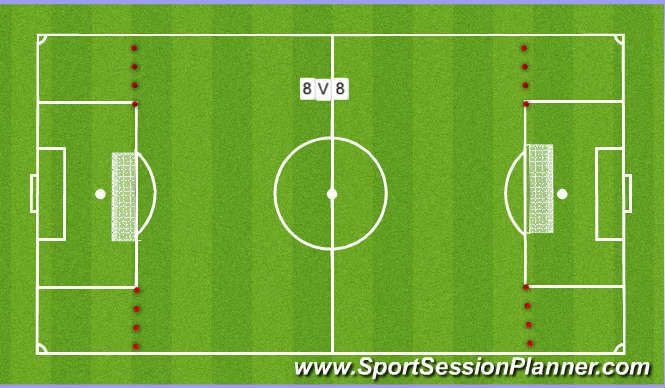 Winger- 1v1 situation - make a run with the ball. - outnumbered - pass the ball. -observe who is in front of the ball. - if the gk is at the near post, cross to the far post. try to switch the ball to the other flank if necessary. one attacker at the near post, one at the back post. 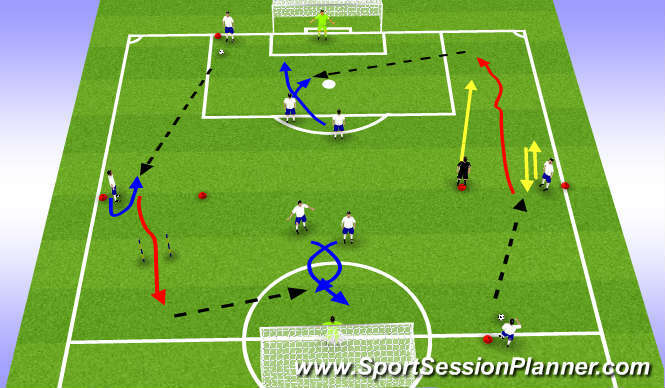 involving the midfielders and defenders in play on the flank. 1v1 situation - make a run with the ball. when to create space for others? 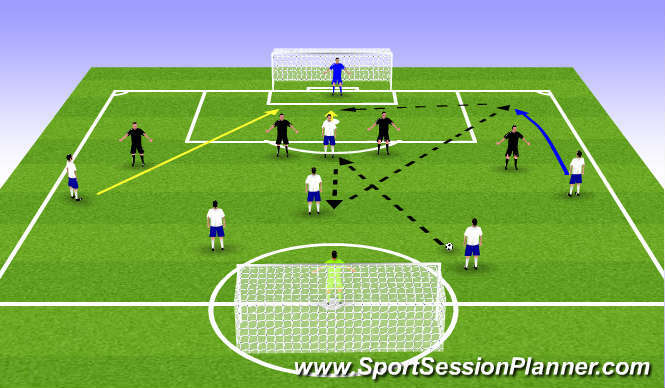 -try to switch the ball to the other flank as quickly as possible. - watch for players making a forward run. - do not get too far apart.